"When Yume Nikki started to become popular in the West a few years after its initial success with 2ch denizens in 2004, it became obvious that the sometimes-derided RPG Maker tool was not only capable of producing good games, but also very original takes that didn't even have anything to with RPGs. Indeed, Yume Nikki soon became a cult hit both in its native country and abroad, as well as an icon of what amateur development could do best. 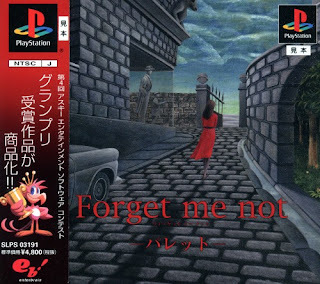 Team GrisGris's 1996 Corpse Party is an earlier example of RPG Maker-made "non-RPG", but it was somewhat classical in its game design and lacked Yume Nikki's distinctive blend of conceptual adventure and psychological horror. 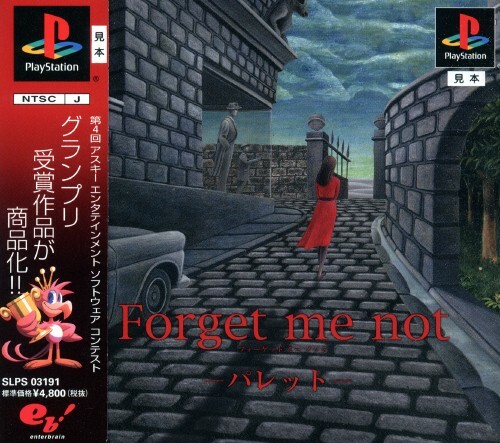 However, what a lot of people seems to ignore is that Yume Nikki still isn't the first in that kind of production. We need to go way back in time, six years before the Yume Nikki phenomenon. In 1998, the multimedia giant ASCII Entertainment organized its fourth entry in a series of annual competitions where contestants were required to submit a self-made game created using either RPG Maker or developed from scratch. That's when a man called Nishida Yoshitaka - nicknamed "Yubiningyou" - came in with a strange project developed with the help of RPG Maker '95 titled Palette. And it didn't have anything to do with the RPG genre at all..."
"Palette was originally released in Japan in the mid-90s, and won an award at the Fourth ASCII Entertainment Software Contest, granting the creator 10 million yen. With that money, he went on to remake his game and release it on the PS1 in Japan in 2001. This game is very unknown at this time, but of very high quality. The reason in big part is as the game is rather text-heavy, and has never been translated (officially or by fans) for any language outside of Japanese.